This new biography grapples with the charismatic lawman’s complicated, largely forgotten legacy. Perry chronicles Ness’s days in Chicago as well as his spectacular second act in Cleveland, where he achieved his greatest success: purging the profoundly corrupt city and forging new practices that changed police work across the country. He also faced one of his greatest challenges: a mysterious serial killer known as the Torso Murderer. 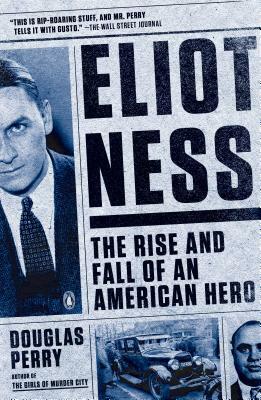 Capturing the first complete portrait of the real Eliot Ness, Perry brings to life an unorthodox man who believed in the integrity of law and the power of American justice. DOUGLAS PERRY is the author of The Girls of Murder City. He is an award-winning writer and editor whose work has appeared in the Chicago Tribune and the Oregonian, among other publications. He lives in Portland, Oregon.